^ Helimski, Eugene (2006). 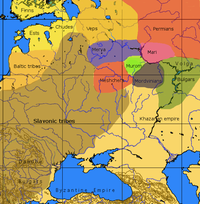 "The «Northwestern» group of Finno-Ugric languages and its heritage in the place names and substratum vocabulary of the Russian North". In Nuorluoto, Juhani. The Slavicization of the Russian North (Slavica Helsingiensia 27) (PDF). 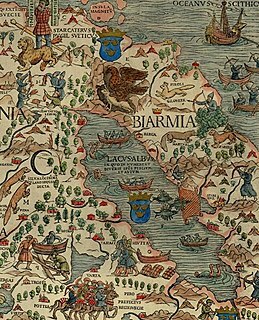 Helsinki: Department of Slavonic and Baltic Languages and Literatures. pp. 109–127. ISBN 978-952-10-2852-6. ^ Bereczki, Gábor (1996). "Le méria, une language balto-finnoise disparue". In Fernandez, M.M. Jocelyne; Raag, Raimo. Contacts de languages et de cultures dans l'aire baltique / Contacts of Languages and Cultures in the Baltic Area. Uppsala Multiethnic Papers. pp. 69–76.